This is our all-new trip. It’s the upgrade from our original 1-hour trip. There is so much to see and experience in the Bristol Channel, we felt we had to give you the time required to enjoy it. Setting off from Cardiff Bay we take you through the locking system at Cardiff Barrage. Depending on the state of the tide we either rise or fall to meet the sea level outside. From here we will blast out to Flat Holm Island. The Island is the most southerly point in Wales, rich in wildlife and steeped in history – there’s plenty to take in. From Flat Holm it’s a brief run across the Welsh / English boarder and on to Steep Holm. Much like Flat Holm but without the amount of wildlife and steeper of course! We will show you the rugged cliffs and remote gunning positions as we take in a full lap of the Island. On the return trip from the Islands we take in the sights of Penarth and the Pier before heading back through the locks. We aim to finish all of our trips with the customary thrills and spills of high-speed turns and excitement before returning you safely to Mermaid Quay. With Bay Islands Coastal Trip, you get twice as long at sea and experience more compared to a 1hour trip. This really is the tour to experience everything Cardiff’s coast has to offer. 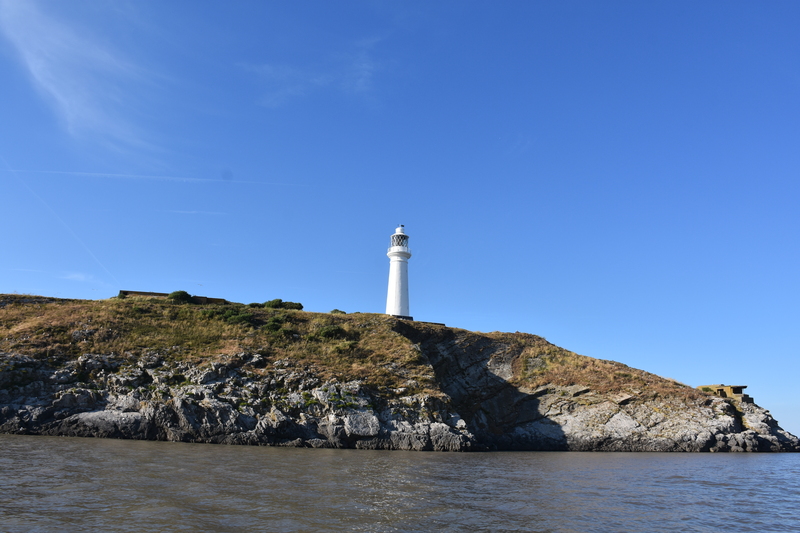 For those wishing to explore further try one of our speciality Flat Holm trips where we land you ashore to explore at your own pace. As far back as 1999, Bay Island Voyages have been running high-speed rides both within Cardiff Bay and out in the Bristol Channel. Trips include Bay Blast, Coastal Trip, Birthday Parties, Stag/Hen Parties and Specialty Trips. We are located near the Celtic Ring on Roald Dahl Place in the heart of Cardiff Bay. Head towards the water and you can’t miss our blue RIB boats, stand and flags! Bay Island Voyages updated their profile picture.